Nature is a production of THIRTEEN PRODUCTIONS LLC for WNET and PBS. American Spring LIVE is a production of Berman Productions, Inc. and THIRTEEN PRODUCTIONS LLC for WNET. Major support for Nature: American Spring LIVE was provided by the National Science Foundation and Anne Ray Foundation. Additional financial support was provided by the Arnhold Family in memory of Clarisse Arnhold, Sue and Edgar Wachenheim III, the Kate W. Cassidy Foundation, the Lillian Goldman Charitable Trust, Kathy Chiao and Ken Hao, the Anderson Family Fund, the Filomen M. D’Agostino Foundation, Rosalind P. Walter, the Halmi Family in memory of Robert Halmi, Sr., Sandra Atlas Bass, Doris R. and Robert J. Thomas, Charles Rosenblum, by the Corporation for Public Broadcasting, and by the nation’s public television stations. Converge Las Cruces Presents "The Face of Climate Change"
Converge Las Cruces presents The Face of Climate Change, a photographic exhibition at the Cottonwood Gallery located in the Southwest Environmental Center taking place May 1 through June 14, 2019. The Face of Climate Change, examines climate change through the eyes of twelve photographers. The exhibition visually documents and comments on the status of our warming world. "Issues and Answers: Protecting Our Environment" looks at efforts to reduce the use of fossil fuels in order to protect our public lands and mitigate the effects of climate change. It also profiles a New Mexico nonprofit organization that helps Latino youth experience the great outdoors. Fred Martino speaks with researcher Park Williams of Columbia University. Park Williams is the Lamont Assistant Research Professor in the Lamont-Doherty Earth Observatory. He attended the college at the University of California, Irvine and he discovered his passion for environmental research via an undergraduate field project in a remote mountain region of Costa Rica. As a graduate student at the University of California, Santa Barbara, Professor Williams combined his interest in environmental science with his interest in history through the use of tree rings. Currently, he studies both the climatological causes, and the ecological consequences, of drought and his most recent research has been on the attribution of drought impacts by disentangling the relative influences of natural climate variability and human-caused climate change on drought related processes that are important to both humans and ecological systems. In the upcoming years, Professor Williams hopes to continue to better understand both the climatological and the ecological sides of drought. Citizen science projects encourage everyday people to get involved in collecting data. 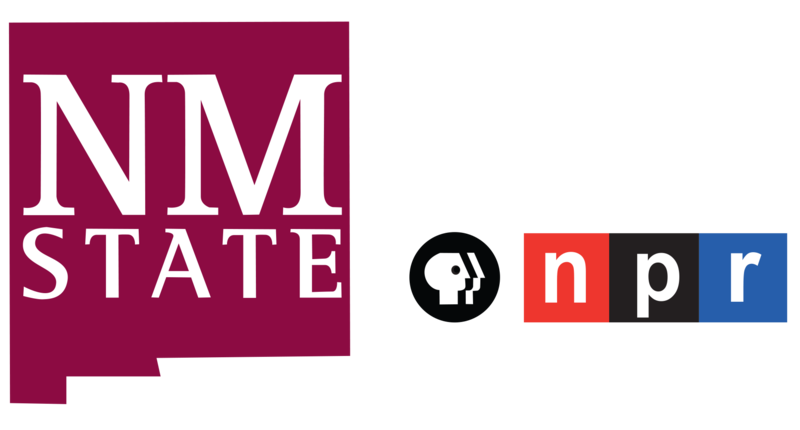 Recently, KRWG Public Media and the Las Cruces Museum of Nature & Science hosted a workshop at the Munson Center to teach community members about some of the many projects available. Michael Hernandez reports. Counting the number of birds in your backyard or bees in your garden isn’t rocket science­­­­–it’s citizen science, an activity people of all ages and abilities can join. A handful of residents met at the Munson Center to learn about a few of the many citizen science projects out there. This program looks at local efforts to help citizens track scientific data and also reviews the threats posed by climate change. This week on Newsmakers, host Fred Martino sits down with Mariel Nanasi of New Energy Economy to discuss the transition away from fossil fuels. The Museum of Nature & Science, in partnership with KRWG at New Mexico State University, presents “Become a Citizen Scientist Workshop” at the Munson Center, 975 S. Mesquite St., at 1:30 p.m. Wednesday, March 27. The workshop is free and open to the public. Science is for everyone! Learn how you can be a citizen scientist in your own backyard in this one-hour workshop for all levels of interest and ability. You’ll be introduced to four projects collecting data from people like you in our area: The Great Sunflower Project, SciStarter, Celebrate Urban Birds, and Nature’s Notebook. Your observations can contribute to national and international research projects, in just a few easy steps. As part of an ongoing seminar series hosted by New Mexico State University, climate scientists are visiting Las Cruces to educate residents about the dangers climate change poses to New Mexico while presenting ways to combat the issue. Dr. Jonathan Overpeck, climate scientist and dean at the University of Michigan's School for Environment and Sustainability, is the latest expert to visit the Mesilla Valley. Listen to the full interview with Wild Friends Director Sue George and science educator Sara Van Note. Fifth graders from Monte Vista Elementary recently visited the state Legislature to promote a bill they helped draft to protect pollinators like bees and butterflies. The students are among hundreds statewide taking part in Wild Friends, a civics and wildlife education program at the University of New Mexico School of Law’s Institute of Public Law. To learn about their visit with lawmakers in Santa Fe, Michael Hernandez spoke with Wild Friends Director Sue George and science educator Sara Van Note. The Chihuahuan Desert Nature Park in northern Las Cruces is an ideal spot for nature lovers to spend a day exploring. It’s also a great place for middle school students to conduct community science. Michael Hernandez reports. Just beyond the entrance to the Chihuahuan Desert Nature Park lies a partitioned tract of land housing a variety of grasses, shrubs, and flowering plants called forbs. While home to plant life now, Asombro Institute for Science Education Specialist Ryan Pemberton said the site looked very different in June 2000. That’s when 7,000 gallons of diesel fuel spilled on the park’s northern boundary. As news breaks daily about the impacts of climate change worldwide, taking local action to reduce its effects can seem daunting and even futile. As Michael Hernandez reports, climate scientists are educating the Las Cruces community with a message of hope. The American Southwest faces a multitude of threats when it comes to climate change; hotter temperatures, increased forest fires and longer droughts to name a few. It’s a monumental problem, but a problem Dr. Scott Denning, an atmospheric science professor at Colorado State University can describe in three words; simple, serious and solvable. Citizen science projects call on members of the community to help scientists collect data on countless subjects including the weather. Michael Hernandez reports on one meteorological project people can take part in without leaving their backyards. Bill Lindemann wakes up early every morning, as he’s done for the past 15 years, to read a plastic rain gauge in his backyard. From tracking monarch butterfly populations to classifying galaxies, there are thousands of projects people can join to help scientists collect data. It’s called "citizen science." But as Michael Hernandez reports, you don’t have to be a professional or even an adult to contribute. Sixth grade students from Vista Middle School arrived by bus to the Mesilla Valley Bosque State Park just southwest of Las Cruces. It seems like an ordinary field trip, but on this day these middle schoolers are more than students. They’re scientists, too. Nuestra Tierra, a local organization has been working to get hispanic, low-income youth into the outdoors and public lands. On a recent fishing trip the group took with area high school students, we hear more about the group's mission from its founder and some students.